Necessary Evil clothing measurements: The tables below have been taken from the Kate's Clothing website for their Necessary Evil clothing for both ladies and men. Corset measurements: Two charts showing the actual measurements of our corsets. 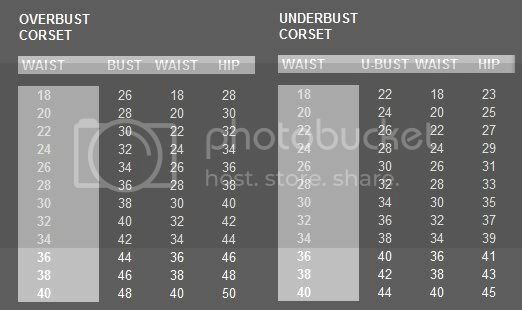 Please also see the category "corsets" for more information on sizing corsets for a perfect fit.